A diagram of all the forces acting on a body, but not the forces it exerts on other things. The arrows indicate magnitude and direction. For a body to be in equili­brium, the sum of the clockwise moments equals the sum of the anticl­ockwise moments. The product of the size of the force and the perpen­dicular distance between the turning point and the line of action of the force. A pair of forces with equal size which act parallel to each other but in opposite direction. E.g. turning a car's steering wheel. The single point from which the body's weight acts through. The object will always balance around this point. Displa­cement (y) against Time (x). Accele­ration (y) against Time (x). 0 Gradient = No accele­ration  constant velocity. NB: Remember to treat area below the time axis as negative! The velocity of an object will not change unless a resultant force acts on it. • Accele­ration is in the same direction as resultant force. An object given an initial velocity, then left to move freely under g. There is separate horizontal and vertical motion with time being the only common attribute. Both motion follows SUVAT equations but horizontal motion has no accele­ration. • They convert kinetic energy  heat. When frictional forces equal the driving force. For a falling object, when drag equals the force due to their mass. Not all of the kinetic energy is conserved. Momentum however is conserved. Kinetic energy is conserved i.e. no energy is dissipated as heat or other energy forms. An extension of N2L. Impulse is the product of force and time and is equal to the momentum of that body. Also equal to the area under a force-time graph. The energy transf­erred from one form to another. Energy cannot be created nor destroyed, only converted from one form to another, but the total energy of a closed system will not change. useful output­/input in terms of energy or power. A property all materials have and is indepe­ndent of both shape and size. The force is propor­tional to the extension of a stretched wire. The point on a force-­ext­ension graph where the line begins to curve. Beyond this point, permanent deform­ation occurs where the wire will no longer return to its original shape. The ratio of forced applied and cross-­sec­tional area. The ratio of extension to original length, it has no units and is just a ratio. Stress (y) against Strain (x). The point on a stress­-strain graph where the material stretches without any extra load. When a material breaks after a certain about of force is applied. The line simply stops on a stress­-strain graph. The same thing applies on a force-­ext­ension graph, the line just stops. A temper­ature scale that is in terms of an atoms movements. Heat is always transf­erred from a hot area/s­ubs­tance to a cold area/s­ubs­tance. Energy Change is equal to the product of the mass, specific heat capacity and the change in temper­ature. The specific latent heat of fusion ( Solid) / vapori­sation ( gas) is the quantity of thermal energy needed­/will be lost to change the state of 1kg of the substance. where m is the mass and l the latent heat. When a substance changes state, there is a period where the temper­ature of the material is constant, as the internal energy rises, this is due to the latent heat. At a constant temper­ature, pV is constant. i.e. On a p-V plot, the higher the line, the higher the temper­ature. At a constant volume: p is directly propor­tional to its absolute temper­ature. the sum of the masses of all the atoms that make up the molecule. The sum of the relative atomic masses of all the atoms. The number of atoms in exactly 12g of carbon isotope 126C. A way of rememb­ering which n is which. Moles will be small, therefore small n. Number of molecules will be large so, big N.
The pressure exerted by an ideal gas can be derived by consid­ering the gas as individual particles. Crms is the root mean square speed. • The volume of the molecules is negligible when compared to the volume of the contai­ner/gas as a whole. Random motion of particles suspended in a fluid  helped provide evidence that the movement of the particles was due to the collisions of the fast random­ly-­moving particles, which supported the model of kinetic theory. The 2 Baryons that make up the nucleus of an atom. Comprised of 3 quarks. Protons have a relative charge: +1, neutrons: 0. Both have a relative mass of 1 (1.67 x10-27 kg). The general notation of elements. The ratio of a particles charge to its mass. Specific meaning per kg. A strong force that holds atoms together at small distances, strong enough to overcome the electr­ostatic repulsion of the protons. Rapidly falls to ) after 3 fm. Occurs in big atoms (82+ protons). Atoms emits a helium nucleus (2 protons 2 neutrons). Particles is too big to be kept stable by the SNF. Emission of a electron and anti-e­lec­tro­n-n­eut­rino. Happens in neutron rich particles. In nucleus structure terms, a neutron turns into a proton by changing an d quark to a u quark, emitting an electron and anti-e­lec­tro­n-n­eut­rino. Emission of a positron and an electron neutrino. One of the atoms protons, changes a u quark to a d quark, changing to a neutron emitting a positron and an electr­on-­neu­trino. A discrete packet of electr­oma­gnetic radiation with 0 mass. The corres­ponding antipa­rticle to any particle has the same mass and rest energy but opposite charge. When 2 of the same particles collide at high speed and produce a partic­le-­ant­ipa­rticle pair. The energy of the collisions is converted into the pair. Also occurs when a photon has enough energy to produce an electr­on-­pos­itron pair. When a particle and antipa­rticle collide producing 2 photons in opposite direct­ions. This collision is used in PET scanners to detect cancers. A hadron consisting of 3 quarks. All are unstable except a free proton - all eventually decay into a proton. A quantum number which is always conserved. Baryons have a B.N. of +1. Antiba­ryons have a B.N. of -1 and all other particles have a B.N of 0. A hadron consisting of 2 quarks - a quark-­ant­iquark pair. There are 9 possible combin­ations, making either Kaons or Pions. A fundam­ental particle that doesnt feel the strong force. Interacts via the weak intera­ction. Another quantum number that is always conserved. Must be separate for lepton­-el­ectron number and electr­on-muon number. Particles that have a property of strang­eness - contain a strang­e/a­nti­-st­range quark. Rules of conver­sation mean that strange particles are only produced in pairs. Another quantum number - however it can change by ±1 or 0 in an intera­ction. A fundam­ental particle that makes up hadrons. There are 6 types:­u­p/d­own, top/bo­ttom, stra­nge­/­charm. There is no where to get a quark on its own, when enough energy is provided, pair-p­rod­uction occurs, with one quark remaining in the particle. β+ and β- are both examples of weak intera­ctions, which is intera­ction via the weak force, the force acting between leptons. A region where a force acts, force is exerted on magnet­ic/­mag­net­ically suscep­tible materials (e.g. iron). When current flows, a magnetic field is induced. • Curl Fingers around "­wir­e". A cylind­rical coil of wire acting as a magnet when carrying electric current. Forms a field like a bar magnet. A curren­t-c­arrying wire, running through a magnetic field generates a resultant field of the one induced by the current and the pre-ex­isting one. The direction of the force is perpen­dicular to the current direction and the mag. field. For finding the direction of the Force. For a charge travelling perpen­dicular to a field is always perpen­dicular to the direction of motion  The condition for circular motion. F = mv2/r can be combined with F = BQv. A cyclotron consists of 2 hollow semico­ndu­ctors, with a uniform magnetic field applied perpen­dicular to the plane of the D magnets. An A.C. is applied. Charged particles are fired into the D's. They accelerate across the gap between magnets, taking the same amount of time for the increasing radius. Relative motion between a conductor and a mag. field, causes an emf to generate at the ends of the conductor as the electrons accumulate at one end. The induced e.m.f. is always in such a direction that it opposes the change that caused it. Flux Linkage and Induced e.m.f. are 90° out of phase. Ek is converted into electrical energy, the kinetic energy turns a coil in a magnetic field so that they induce a electric current. Current that's direction changes over time. The voltage across the resistance goes up and down. A device that uses electr­oma­gnetic induction to change the size of a voltage for an altern­ating current. This equation means that the moment of inertia is dependent in the masses, and their distri­bution, so a solid disk may have a lower moment of inertia than a hoop. The rotational kinetic energy of an object is dependant on its moment of inertia. When a force causes an object to turn, the turning effect is torque. A flywheel is a heavy wheel that has a high moment of inertia, meaning once spinning it is hard to stop. They are charged as they are spun, turning T into rotational kinetic energy. It is used as a energy storage device  if energy is needed, the wheel decele­rates and provides some of its rotational energy to another part of the machine. Flywheels maximused for energy storage are dubbed flywheel batteries. • Angular Speed  if the angular speed is increasd, the energy stored increases with angular speed2, so increasing the a.speed, greatly increases energy storage. • Spoked Wheel  this again increases the moment of inertia as the mass is distri­buted further away from the center. • Friction Reduction  lubric­ation is used to reduce friction as well as superc­ond­ucting magnets to stop contact and therefore friction. Vacuums are also used so air resisi­tance is not a factor. For closed systems, the first law can be applied, also known as non-flow processes as no gas flows in or out. To apply the law, it is assumed to be an Ideal Gas. pV plot is a curve, with higher lines indicating a higher temper­ature. The work done is the area under the line. Expansion is  and is positive. Compression is  and is negative. A System that undergos a number of combin­ations of processes. They start at a certain pressure and volume and return to it at the end of a cycle. • Induction  The piston starts at the top of the cylinder, and moves down increasing the volume of the gas above it. A air-fuel mixture is drawn in through an open inlet valve. Pressure remains constant just above atmospheric. • Compre­ssion  The inlet valve is closed, the piston moves up the cylinder. Work is done on the gas, and the pressure increases. Just before the end of the stoke, a spark ignites the air-fuel mixture. Temper­ature and pressure increase. • Expansion  The explosion expands and pushes the piston back down. Work is done as the gas expands, there is also a net output. Just before the bottom, the exhaust valve opens and the pressure reduces. • Exhaust  The piston moves up the cylinder and the burnt gas leaves through the exhaust valve, the pressure remains constant just above atmosp­heric. Induction Stroke  Only air is drawn. Compression  The air is compressed enough to have a temper­ature to ignite diesel fuel  just before the end of the stroke, diesel fuel is sprayed in and ignites. The net work done by the cylinder in one second. A reverse heat engine where the cold space is the actual fridge. Whilst the hot space is the surrou­ndings, the fridges aim is to extract as much heat from the cold space to the surrou­ndings. A measure of how difficult it is to move current around the circuit. Under constant physical condit­ions, I is propor­tional to V. On a graph of I (y) against V (x), the gradient is equal to 1/R. A filament lamp has an IV charac­ter­istic of a cubic (s shape) going through the origin. The heat in the filament causes the resistance to increase - the particles in the filament vibrate more, meaning its harder for the curren­t-c­arrying electrons to move through it, therefore resistance increases as the current increases. The lower the resist­ivity, the better it is at conducting electricity. A group of materials that arent as good as conducting as metals, however, if more energy is supplied, the resistance lowers  more charge carriers are released. A metal that can be cooled, and the resist­ivity is reduced. There is no resist­ivity below the critical. The main uses are for strong electr­oma­gnets, power cables with no energy loss and fast electronic circuits with minimal energy loss. The rate of transfer of energy. The amount of electrical energy the battery provides and transfers to each coulomb of charge. The total emf of a series circuit, equals the sum of the pd across each component, i.e. pd is split between components in series but not parallel. A circuit with a voltage source and resistors in series. The voltage of one of the resisitors can vary and therefore be used to detect certain changes when thermi­stors and LDRs are used. A region in which a body experi­ences a non-co­ntact force. The force a body experi­ences due to gravity is dependant on its weight, the weight of the object exerting the force and the distance between them  An inverse square law. NB The result of this is the magnitude of the force, the direction is always towards the centre of the mass causing the gravit­ational force. The force per unit mass, depending on the location of the body in a field. Also a vector quantity, directed towards the centre of the mass causing the force. Lines/­Planes that join points of equal gravit­ational potential  similar to contour lines on maps. Along these lines both ΔV and ΔW are zero, the objects energy isn't changing. Are smaller objects orbiting a larger object, they are kept in orbit by the force due to the larger body's gravit­ational field. In terms of planets  Orbits are ≈ circular, therefore circular motion equations apply. Satellites that orbit between 180 and 2000 km above Earth. They are designed for commun­ication and as they are low-orbit, they're cheaper to launch and require less powerful transm­itters. The emission of electrons from the surface of a metal in response to an incidence light, where the frequency of the incidence light is above that of the metals threshold frequency. The lowest frequency of light that can cause electrons to be emitted from the surface of a metal. The minimum quantity of energy which is required to remove an electron to infinity from the surface of a given solid, usually a metal. The energy a photon is carrying minus any other energy loses. These energy loses explain the range of kinetic energies of the photons. The max is equal to hf, with no energy loss. The kinetic energy carried by an electron after it has been accele­rated from rest to a pd of 1 V.
The lowest energy level of an atom/e­lectron inside an atom. The movement of an electron to a higher level in an atom, requiring energy. An electron moving towards ground state releasing energy equal to the difference between the states in the form of a photon. A series of bright lines against a black backgr­ound, with each line corres­ponding to a wavelength of light. When light with a continuous spectrum of energy (white light) pass through a cool gas. Most of the electrons will stay in their ground states but some will be absorbed and excite them to higher states, these photons are then missing from the spectrum causing black lines on the continuous spectrum. When a beam of light passes through a narrow gap and spreads out. When a wave spreads out as it passes through a gap or around a obstacle. The maximum magnitude of displa­cement. The length of one whole oscill­ation of the wave. The time taken for a whole wave cycle. The number of whole waves per second, passing a given point. TV signals are polarised by the rod orient­ation on the transm­itting aerial. If the rods are lined up, you receive a good signal. When 2 waves pass through each, at the instance where the wave cross, the displa­cement is combined, then each wave continues. When 2 waves meet and their displa­cements are in the same direction, the displa­cements combine to give a bigger one. When 2 waves meet and their displa­cement is in opposite direct­ions, they cancel out 'destr­oying' the displa­cement. The displa­cement of the combined wave is the sum of the individual displa­cem­ents. When 2 points on a wave are a odd multiple of 180°/Ⲡ apart. When the phase difference of 2 points is 0 or a multiple of 360°/2Ⲡ. A point on a stationary wave where no movement occurs - zero amplitude. There is total destru­ctive interf­erence. When the stationary wave is at its lowest possible frequency - a single loop with one antinode and a node at each end. To find the freq of the nth harmonic, multiply the 1st harmonics freq. by n.
where μ is the mass per unit length, T is the tension in the string and l is the length of the vibrating string. When a wave is passed through a narrow gap. Light of a signal wavele­ngt­h/f­req­uency and therefore a single colour. Best for producing clear diffra­ction patterns. If the waves produce have the same wavele­ngt­h/f­req­uency and have a fixed phase differ­ence. A measure of how optically dense a material is - the more optically dense, the higher refractive index.  where c is the speed of light and cs is the speed of light in the material. The relative refractive index from material 1 to material 2. Note when using the refractive indexes of the materials its 2/1 rather than 1/2 with the speeds. When a ray of light travels from one refractive medium to another. A very thin flexible tube of glass/­plastic fibre in which light signals are carried across long distances and around corners by applying TIR. The fibres are surrounded by a cladding with a high refractive index and a core of a lower refractive index. The light is refracted where the mediums meet and travels along the fibre. When some of the signals energy is absorbed by the material of the fibre. The final amplitude is reduced. When the final pulse is broader than expected, which can cause inform­ation loss as it may overlap with another signal. Light entering at different angles and taking different paths, resulting in signals arriving in the wrong order  Single­-mode fibre is used to prevent this - light is only allowed to folllow a very narrow path. Different amounts of dispersion depending on wavele­ngth.  Monoch­romatic light prevents this. An experiment that proved the current model of the atom  that it is mostly empty space. Rutherford set up an experi­ment, with an alpha emitter pointed at gold foil. He observed the deflection of the particles and it showed that atoms have a concen­trated mass at the centre and are mostly empty space, which disproved the plum-p­udding model which was accepted previously. Used for: PET Scanners, In production of metals  the levels penetr­ating through the metal can be used to control the thickness. Stopped by: several cm of lead. Used for: PET Scanners  produced through annihi­lation, cancer treatment. The low level of radiation that always exists. Must be taken into account when measuring radiation. It both sponta­neous and random. The probab­ility of a specific nucleus decaying per unit time. It is a measure of how quickly a isotope will decay. The number of nuclei that will decay each second. The average time the isotope takes for the number of nuclei to halve. If they nuclei lies on the N=Z line they are generally stable. If they lie above, they undergo β- decay, if they lie below, the undergo β+ decay. If they have a Z number of over ~82 (Protons) they undergo α decay. The mass of a nucleus is less than the mass of its consti­tuents. This energy difference is the mass defect and is lost to energy as E = mc2, energy and mass are equiva­lent. If you were to pull a nucleus apart, this binding energy would be the energy required to do so, equal to the energy released when the nucleus formed. • Control Rods  Usually made of carbon, they are lowered and raised to control the rate of fission. The amount of fuel required to produce one fission per fission is the critical mass. Any less (sub-c­rit­ical) then the reaction will eventually fizzle out. Any more, and the reactor could go into meltdown, which is why control rods are used. • Mode­rator  Fuel rods are placed in the moderator, this slows down/a­bsorbs neutrons to control the rate. The choice of moderator needs to slow down the neutrons enough to slow down neutrons enough to keep the rate of fission steady. It slows down neutrons through elastic collis­ions, a moderator with a similar nucleo­n-mass to the neutrons. • Cool­ant  is sent around the reactor to remove heat produced by the fissio. The material is either liquid or gas at room temp. Often it is the same water (heavy­-water) as the moderator and can be used to make steam and turn turbines. • Shie­lding  Reactors are surrounded by thick concrete, which shields and protects from radiation escaping and anyone working there. • Emer­gency Shut-d­own  All reactors have an emergency shutdown where the control rods are completely lowered into the reactor, thus absorbing all the neutrons produced and slowing the reaction down as quickly as possible. • Waste  Unused uranium only produces α so can be easily contained. Spent uranium however emit β & γ radiation. Once removed from the reactor they are cooled and ten stored in sealed containers until the activity is at a low enough level. Objects in circular motion travel through angles, mostly measured in radians. The angle an object rotates through per second. The number of revolu­tions per second. The time taken for a complete revolu­tion. Objects travelling in a circle are accele­rating as their velocity is changing consta­ntly. The accele­ration is always acting towards the centre of the circle. Is the resolved force which is always directed towards the centre of the circle. An object undergoing SHM is oscill­ating to and fro, either side of an equili­brium position. A mass on a spring is a simple harmonic oscill­ator. When the mass is pulled­/pushed from the equili­brium position, there is a force directed back towards the equili­brium position. F = kΔL where k is the spring constant and ΔL is the displa­cement. Free vibrations involve no transfer of energy to/from the surrou­ndings. If a mass-s­pring system is stretched, it will oscillate at its natural frequency fn. Forced Vibration occurs when there is an external driving force. A system can be forced to vibrate by a periodic external force. This is called the driving frequency, fd. fd >> fn  The oscillator will not be able to keep up and will end up out of control. i.e. completely out of phase. As fd → fn, the system gains more and more energy from the driving force, thus the amplitude rapidly increases. The system is now considered to be resona­ting. At resonance, the phase difference between the driver and the oscillator is 90°. Any oscill­ating system loses energy to its surrou­ndings  damping. System are also delibe­rately damped to stop them oscill­ating or minimise resonance. Light Damping  Take a long time for oscill­ation to stop, the amplitude is decreased slowly. Displa­cem­ent­-Time Graph: sharp peak. Heavy Damping  The amplitude decreases rapidly, and oscill­ation takes much less time to stop.D­isp­lac­eme­nt-Time Graph: flat peak. Critical Damping  Oscill­ation is stopped in the shortest amount of time possible. Over Damping  Systems with even heavier damping, they take longer to reach equili­brium than a critically damped system.